I am an author who has recently completed my young adult psychological thriller titled, The Caging at Deadwater Manor. I have also written a historical time travel and am working on another psychological thriller. I have been a technical writer for over 15 years and have recently transitioned to the world of fiction. I have to say, writing fiction is way more exciting! I also maintain a blog with novel news, short stories, my publishing experience and Twitter tips, so check out my blog. Come join me at the community of writers on Twitter at @SandieWillBooks, and I'll follow you back and keep you updated on all of my writing news. I am also on Facebook as Sandie Will, Author. Sandie Will was born in Poughkeepsie, New York and moved to Florida during the 1970s. 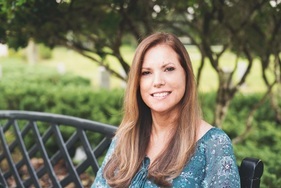 She earned her Bachelor of Science in Geology degree from the University of South Florida and Master of Science in Environmental Engineering Sciences degree from the University of Florida. She is currently working as a Bureau Chief/Hydrogeologist. During her career, she has written numerous technical reports and articles for various science-related publications. Now, she is adding fiction to her writing repertoire with her debut novel, The Caging at Deadwater Manor. Sandie currently lives in Florida with her husband, Charlie. They have two grown sons, a lovable lab-mix and a pesky cat.